Jemima Jenkins Milhorn, 92, was born on November 17, 1925 in Ft Myers , FL and shortly after, her family moved to Johnson City, TN . She spent the remainder of her life as an East Tennessean. Jemima was the second of four children born to Robert "RO" Jenkins and Pauline Connor Jenkins. Her father served as the President of Pet Milk until his retirement. His legacy lived on as Jemima often referred to herself as "The Milk Man's Daughter." If you know Jemima, you would agree that her sweet personality could light up any room. Her best friend and husband Glenn noticed this at their first meeting at Rock Creek Park. He loved to recall how they first met and the beautiful courtship they shared. They were married in Johnson City, TN at Central Baptist Church on June 6, 1945. This same day, Jemima graduated from East TN State University with a Bachelor of Science. To say they had a successful marriage couldn't begin to describe the intense closeness shared between these two. Their love grew stronger and more beautiful throughout their 69 years of marriage. Jemima had a heart of selfless love for her family and that was revealed in every decision throughout her life. As the second born in a family of four children, Jemima deeply loved the time spent with her large family. After marrying Glenn, He and Jemima started a family that would grow to reflect the legacy of love we continue to share today. Years of Sunday's spent in Johnson City eating Pet Ice Cream will forever be cherished memories for generations of Jenkins and Milhorn's. You can only imagine the mutual adoration between Jemima her family. Cherishing the gift of her life, she will be irreplaceably missed by: Her son Steven Milhorn and wife Nancy, her daughter Carol Duncan. Her brother, Robert David Jenkins and wife Nancy. Her grandchildren; Brandon and Kirsten Milhorn, Alyse and Jason Mesusan, Lindsay King Zirkle and Jason Newton, Brinson and Jamie Milhorn and Jackson Duncan. Her 7 great grandchildren Andrew and Nathan Milhorn, Bailen, Brylee, and Briell Mesusan, Chase Newton, Miles Milhorn, and Isaac Duncan will carry on the legacy she began. Numerous nephews and nieces who lovingly called her Aunt Jemima will also miss her dearly. The loved ones, gone before her include the love of her life and proud Submarine Veteran, Glenn Henry Milhorn. Her parents, her brother William Henry Jenkins and Wife Dot, Roberta Jenkins Slagle and husband Clay, Sister in Laws Wanda Milhorn Nottingham, Edith Milhorn Duncan and husband Bill. 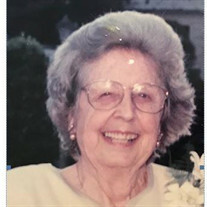 Services to honor her life will be held at Hamlett-Dobson Funeral Home, Kingsport. The family will receive friends from 5-7 on Thursday, October 18, 2018 with a memorial service to follow with Dr. Randy Frye officiating.